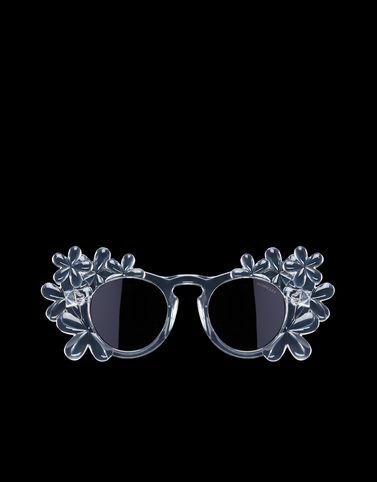 Hot on the heels of the success of the Moncler Simone Rocha collection n. 4 of the Moncler Genius project, comes this eccentric new women’s acetate sunglass model embellished with bold flower decorations on both sides of the front. The signature “puffy” effect is enhanced by the metal logo on the temples. Lens size: 46mm - 1.81"
Temple length: 145mm - 5.71"